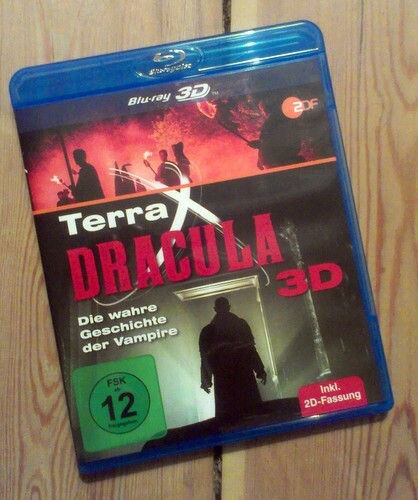 The extraordinary Terra X documentary Dracula: Die wahre Geschichte der Vampire, that aired on German ZDF in October last year, is now available on Blu-ray in both 3D and 2D. Although primarily a gimmick, the 3D works reasonably well, e.g. 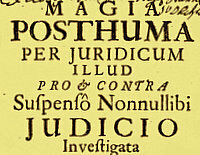 in the Prunksaal of the Austrian National Library. As a bonus, the disc includes a National Geographic documentary on the archaeological find of Irish 'vampire skeletons'. 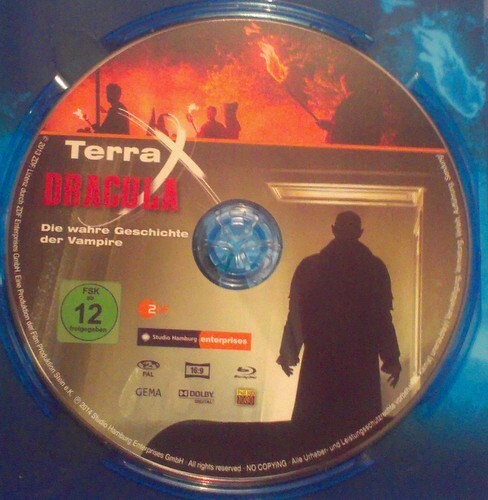 Both documentaries are readily available on youtube, where another interesting Terra X documentary can currently be found: Draculas Schatten: Fahndung im Reich der Finsternis from 1995, which includes a retellinig of the Peter Plogojowitz/Petar Blagojewic incident and an interview with Dr. Christian Reiter who talks about anthrax as the possible cause of the deaths in Kisiljevo.